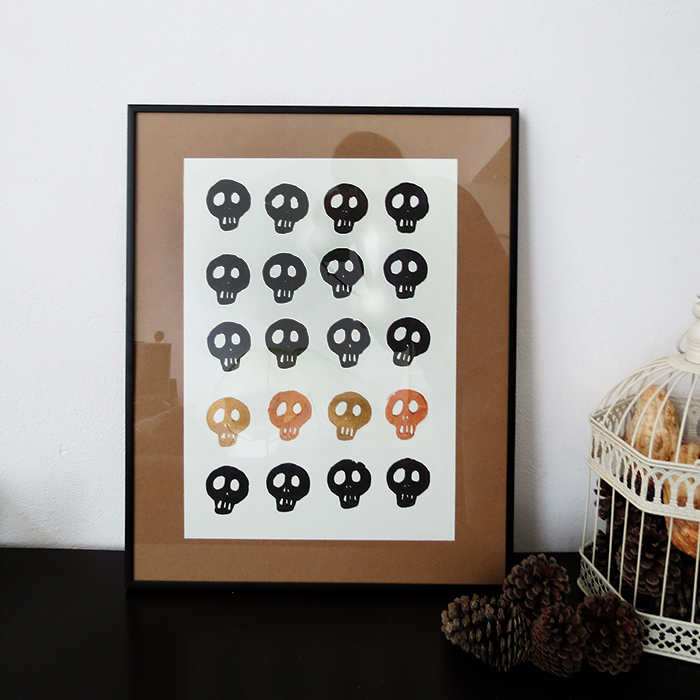 A life true: stamps are one of the coolest things in the world! I should stamp more, it makes me happy! It’s kind of silly, let’s just say it’s my childish side that speaks! 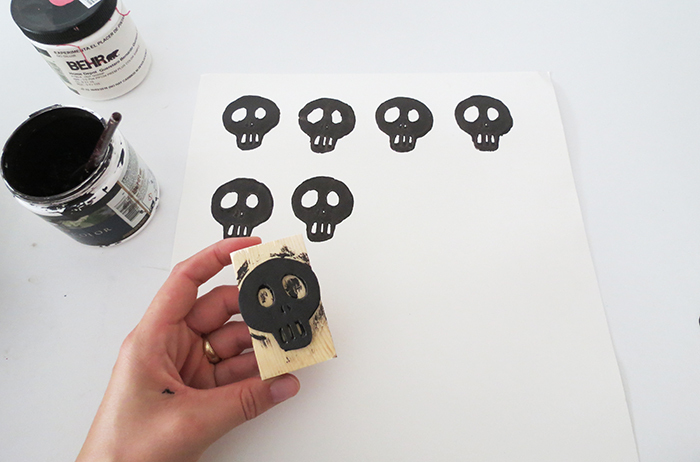 Long ago I make some stamps for my daughter birthday’s party, I just used the same technique again to create this skull one. 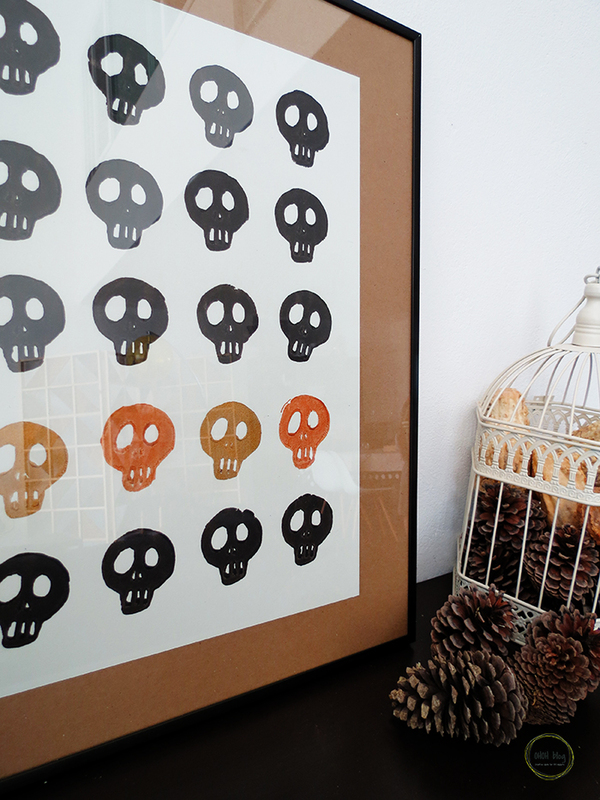 As Halloween is just around the corner, it’s the perfect timing. 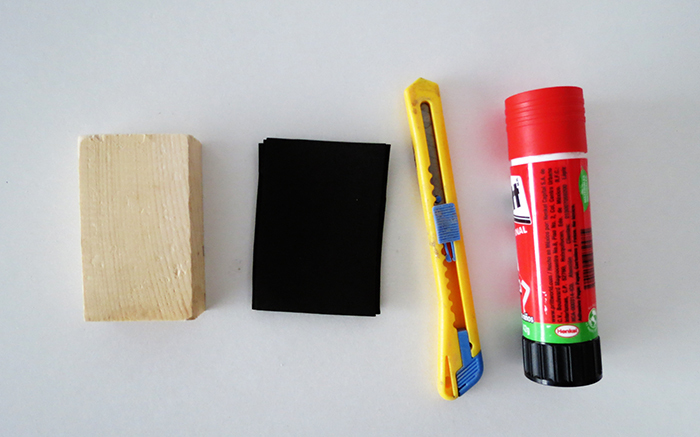 You will need a piece of wood, some foam sheet, a cutter, glue and some scissors. 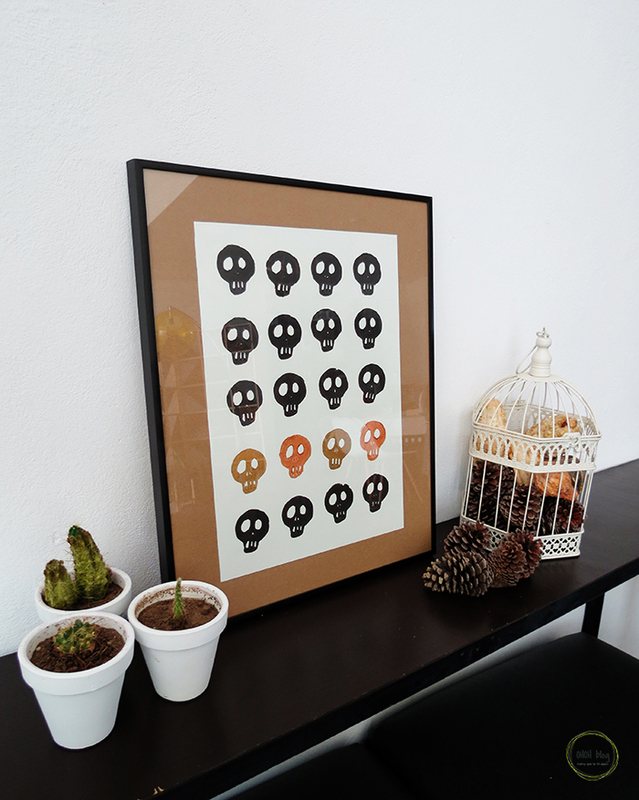 On the foam draw the skull shape. Start with a circle and draw a square below to make the jaw. 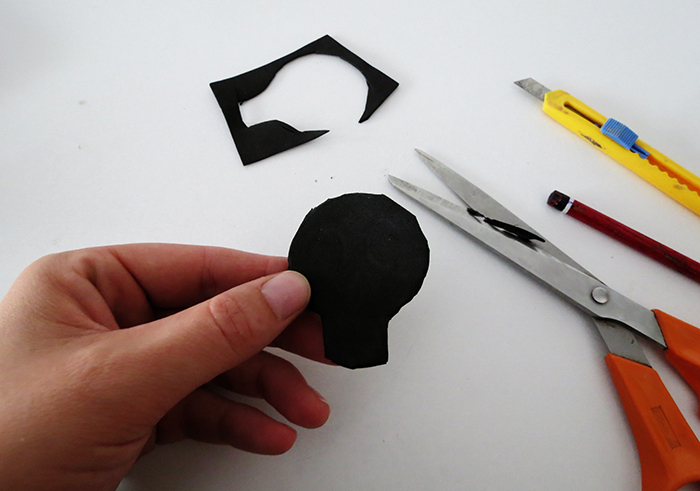 Cut it out using the cutter or scissors. 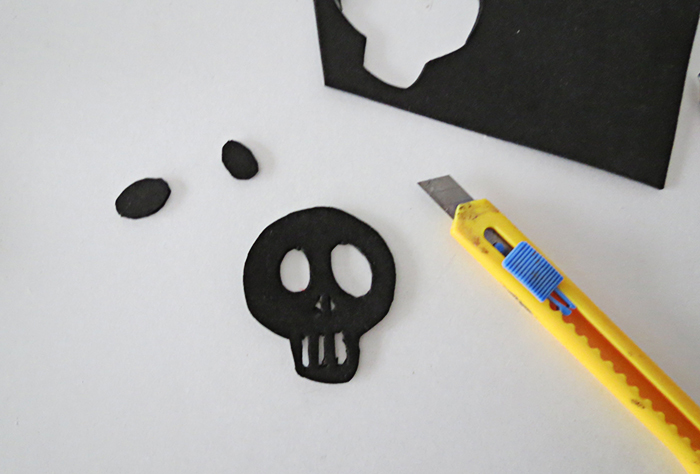 Cut out two circles for the eyes, little triangles for the nasal cavity and tree vertical rectangles for the teeth. Foam sheets comes in various thicknesses, if you used one of 5 mm you can skip this step. 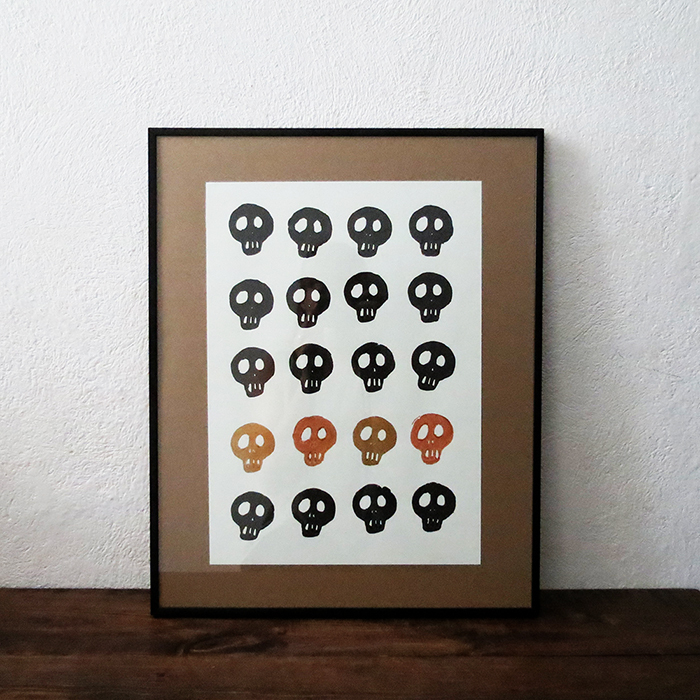 If your sheet is thinner, it’s better to make a second skull. 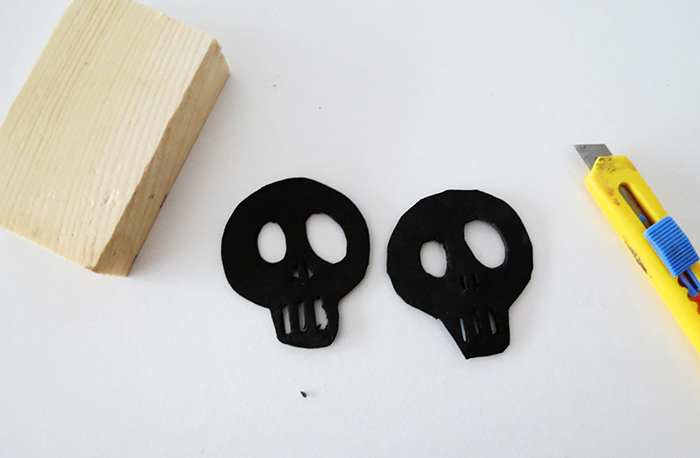 That way your skull shape will have a little more thick and it will work better to stamp. Glue the shape(s) on the wood piece. Apply the paint on the stamp and start having fun. I tried different way, and what works better, it’s applied the paint with a brush on the stamp. That way you don’t put too much paint and is well spread out. 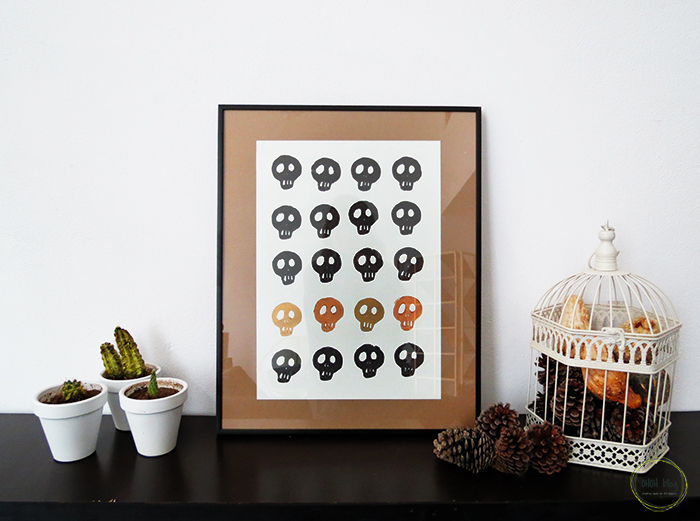 I just stamped on a sheet to make a Halloween wall art. 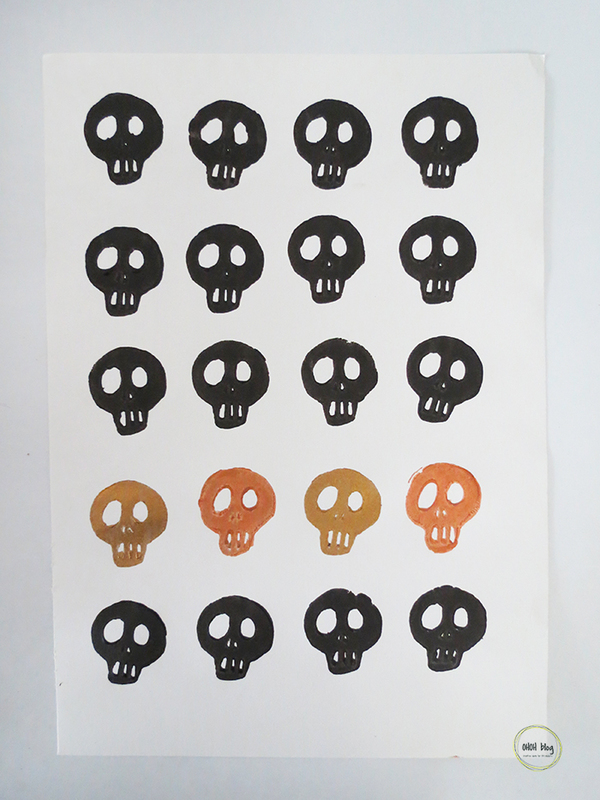 But It will be fun to stamp on fabric to make a skull scarf or a tea towel!!! 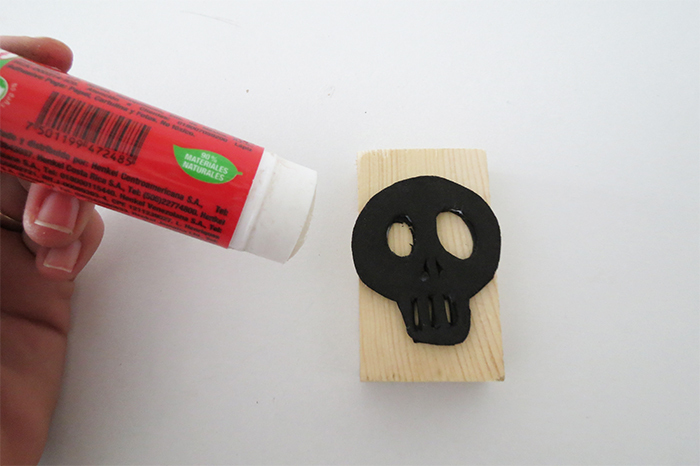 Do you have any other ideas how to use your skull stamp?